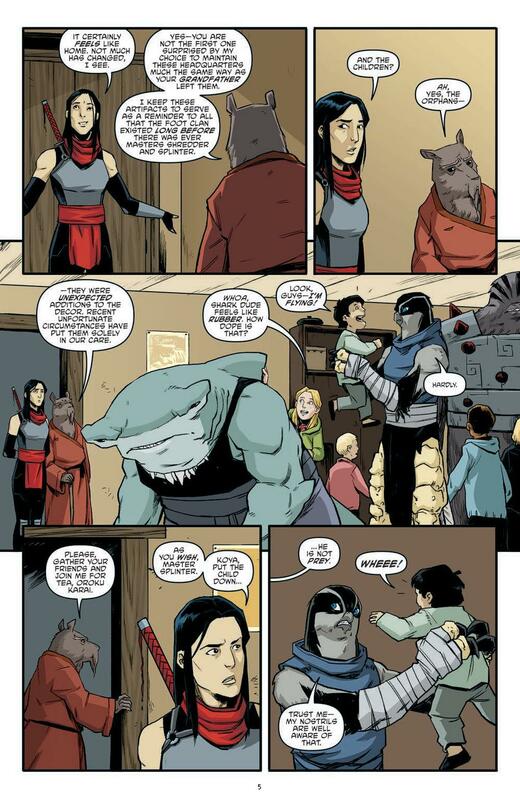 Karai wants to follow in Shredder’s footsteps and take over leadership of the Foot Clan, but she wants to do it in a peaceful, painless fashion. 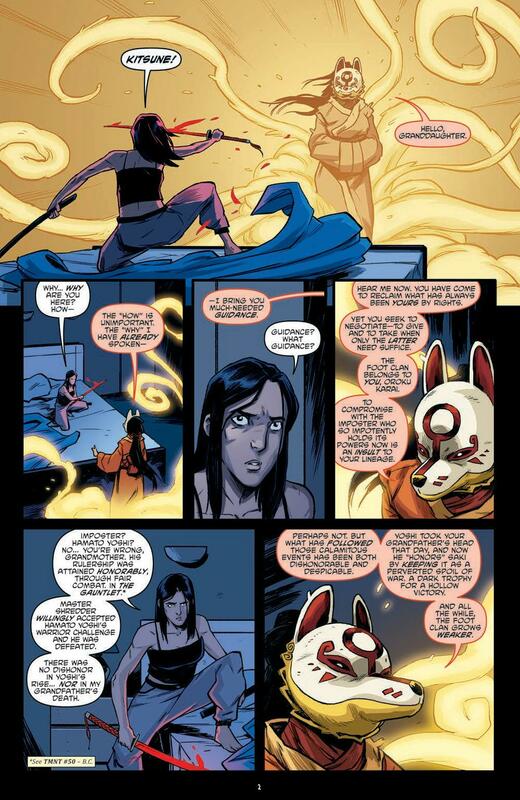 Kitsune clearly has other plans, but Karai’s sense of honour keeps things civil and respectful as she visits Splinter to pay her respects to her late grandfather. The build up to “City War” is nearly complete as we’re treated to another chapter packed with subtle movements and minor preparations before the march to issue 100 begins in earnest. 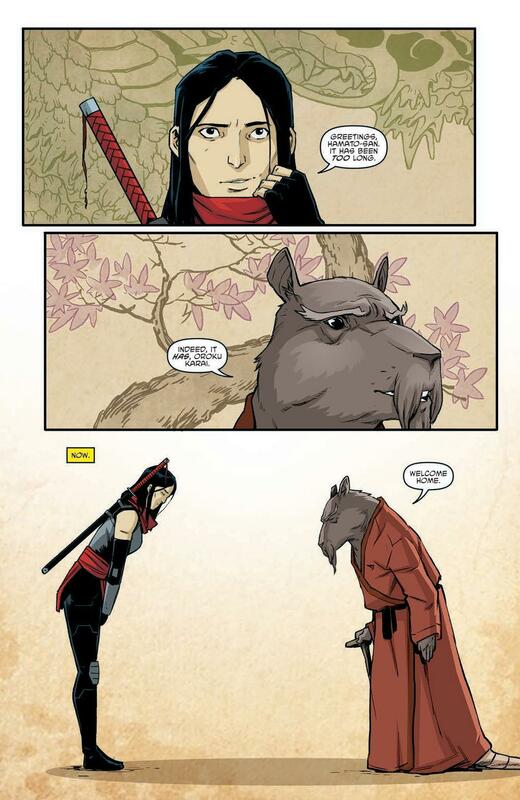 Splinter is the lynchpin of the issue, having strong moments with both Karai and Leo, both of whom seem to have the same resolution for the situation in mind. 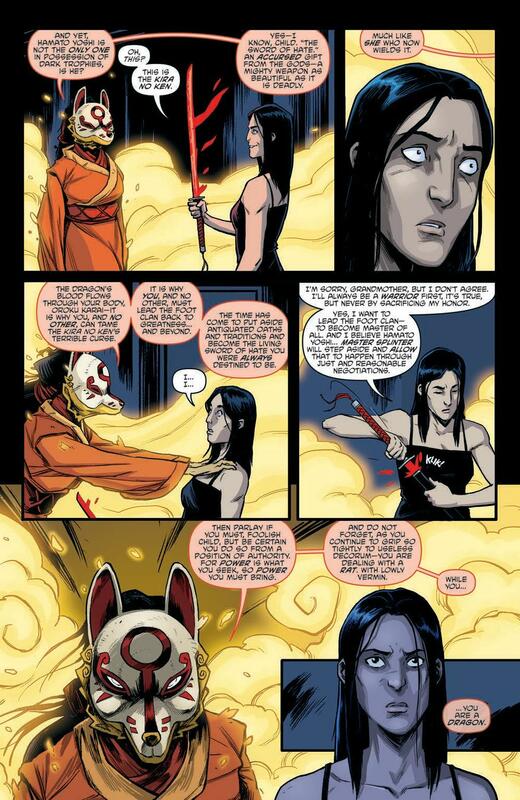 There are also some surprisingly genial interactions between the rest of Clan Hamato and Karai’s mutant allies (for the most part, at least), and both Casey’s relationship with Jennika and Bishop’s potential partnership with Metalhead offer up some interesting subplot possibilities. 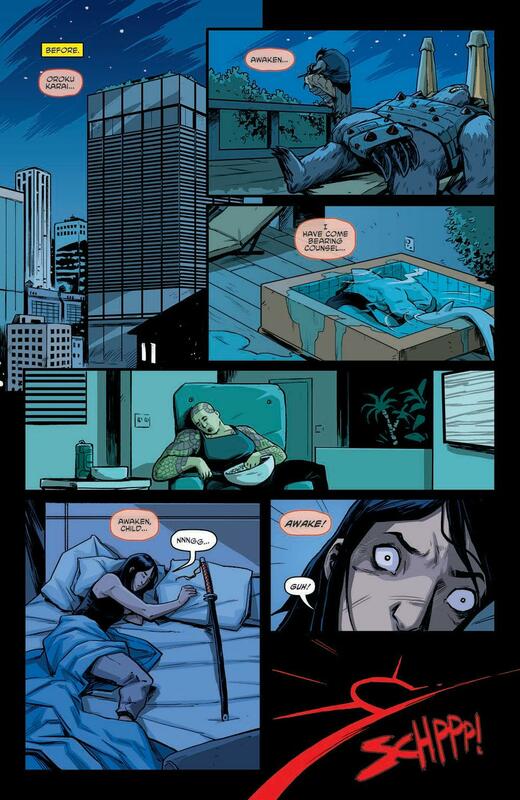 Artist Michael Dialynas is given an impressively broad cast of characters to play with here, and in spite of there only being the briefest flurry of action, does a typically strong job of emphasising the emotion and narrative beats of the issue. Everything flows as smoothly as you might expect by now, and the characters manage come across as lively and expressive without being too cartoony – something of a hallmark of Dialynas’ style, and a real bonus when it comes to delivering a serious tone in a story about giant talking turtles. Another solid issue then, and one which does a great job of building up the anticipation for the conflict to come. It’s an interesting situation in that we know there’s definitely going to be some kind of incident which ends up sparking an all-out war, but to this point we aren’t sure quite what that incident is going to be, adding a ton of tension to every potentially heated exchange. 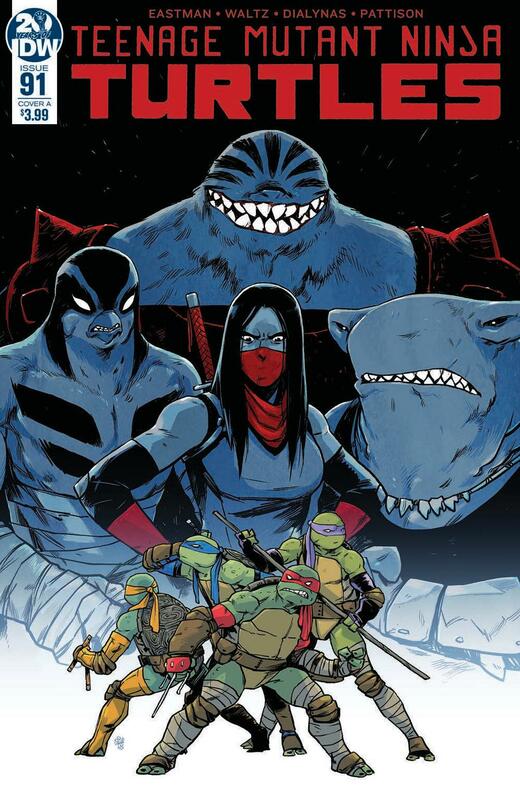 The anticipation is definitely being ratcheted up here, and the sheer consistency of IDW’s ongoing TMNT series, even in the ‘down’ issues, continues to be its greatest strength.